I saw this building next to Hard Knox Cafe on 3rd st. in San Francisco. I thought it was abandoned until I saw some dude leaving. 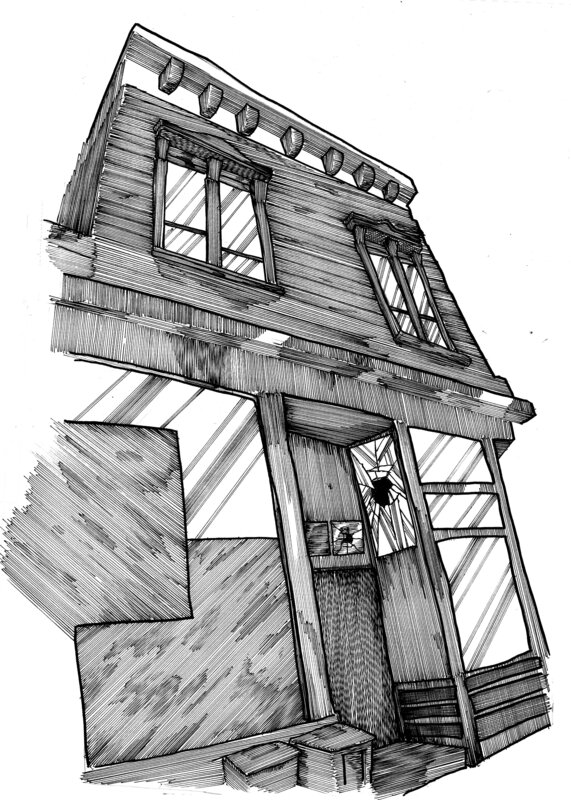 This entry was posted in 2014, art, illustration and tagged art, cartoons, derelict building, drawing, funny, hard knox, illustration, peter glanting, san francisco by pgglanting. Bookmark the permalink.